For operators looking for high-capacity, lighter-density dry bulk material conveying, the Bruks Tubulator TM is a very cost-effective option. It is especially well-suited for long distances, up to 500m and for high overhead installations. With more than 600 installations worldwide and over 30 years of proven operational performance, even in extremely low-temperature environments, the industry-leading Tubulator has developed into the smartest conveying system on the market. 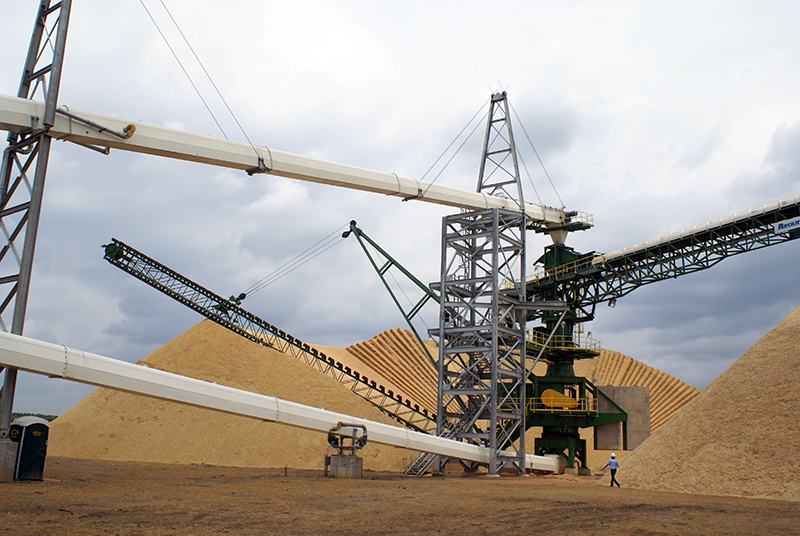 On a belt width-for-width basis, the Tubulator achieves capacities up to 40 percent higher than comparable conventional idler belt conveyors at very low energy consumption levels and is ideal for transporting wood chips, sawdust, bark, pellets and other low-density bulk materials. 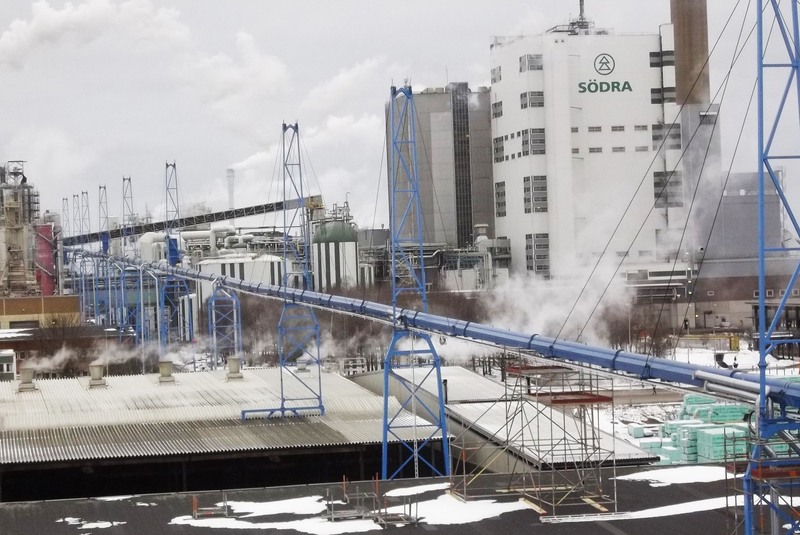 For example, at a belt speed of 150 m/min, the Bruks Tubulator offers conveying capacities of up to 3,300 m3/h for wood chips with a density of about 350 kg/m3. 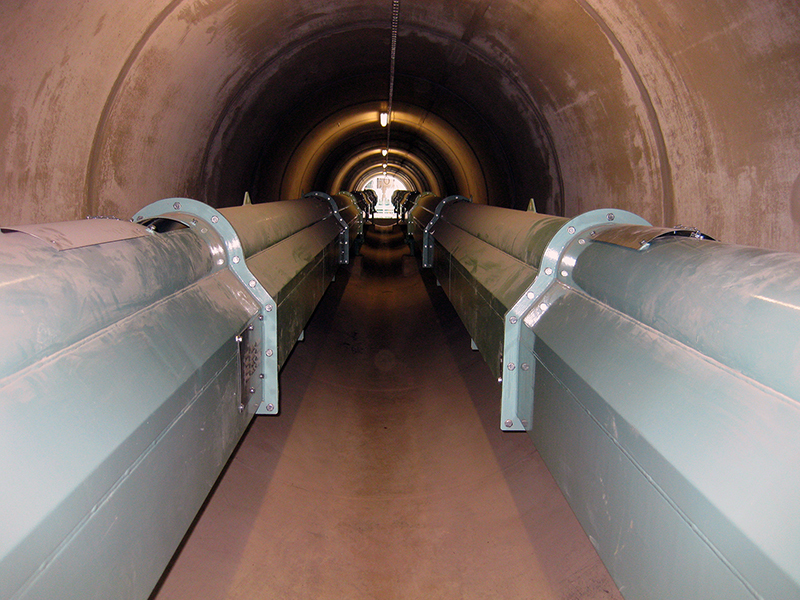 As well as its very quiet operating profile and low energy demands, our Tubulator conveyor is totally enclosed. This ensures that it meets the highest environmental protection standards and eliminates material losses from the conveying line. The easy-to-install conveyor system consists of a drive unit, tail end and the required number of intermediate flanged 6m or 12m pre-assembled modular sections, which are simple to connect. This ensures that it can be customized to suit a huge variety of specific applications from conveying lengths of 20m to 500m. The conveyor has a free-span of up to 80m when using cable towers, or up to 30m between standard supports, and is self-supporting up to 25m. The Tubulator comes in two basic forms: one is totally enclosed on the transport and return sides using an air carry return (ACR). In this version the return belt is supported on a cushion of air provided by a separate blower. The second alternative design uses rollers with 3m spacing to support the return side belt, or roller carry return (RCR). 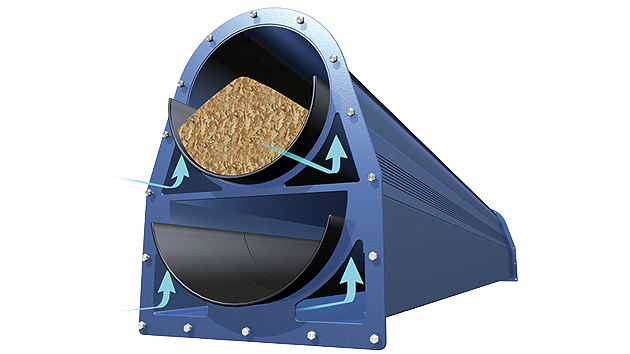 The ACR version is most often used when a dust-tight design is needed, and for example, where full dust-tight connections at the feed and discharge end allow for dust collection. This design meets the majority of fire protection regulations that pertain to handling dry and dusty materials. The RCR version is often used for boiler-feed systems where wet bark is carried to the boiler feed bin, but dust is really not an issue. Without the blowers on the return side, the overall power requirements of this style of Tubulator are lower than the ACR design. Higher installation angles can also be achieved with the RCR design through the use of cleated or ridged belts. The Bruks Tubulator has very low operating and maintenance costs. These are largely due to the fact that the belt runs on a cushion of pressurized air, which reduces frictional forces to a minimum. This has a positive impact on wear parts, and eliminates idlers, which have their own maintenance requirements, in the conveying trough. The low-friction air-cushion technology has low power-consumption demands, which reduces operating costs. Its no-load power requirement is much lower than conventional belt conveyors. Low-pressure fans create the air cushion that supports the belt. Two fans, one located on the transport side and the one for return side are required approximately every 60m. Holes spaced along the bottom of the support steel ensure that the air-pressure is evenly distributed under the belt.